Doyle A. Graham, Jr., is the founder, President and CEO of Valencia Group, a privately-held corporation focusing on the acquisition, development and management of hotel properties. As the visionary and inspiration behind the award-winning, European-influenced, luxury brand, Mr. Graham formed an experienced team to create these properties in premium markets in gateway cities with high barriers to entry. The first hotel to open under Valencia Group was Hotel Valencia Riverwalk located on the banks of the renowned River Walk in downtown San Antonio, Texas. Concurrent with the opening of the River Walk hotel was Hotel Valencia Santana Row, located in the heart of the Silicon Valley in San Jose, California and has been labeled as the crown jewel of the 42-acre mixed-use development, Santana Row. I came by it honestly, I was born into it. My father was one of the pioneers of the modern hospitality industry following World War II. He had worked in some of the iconic mid-century hotels including the Noel in Nashville, the Peabody in Memphis, the Roney Plaza in Miami Beach and the Baker in Dallas. He was general manager of the Galvez hotel in Galveston when I was born. It those days, general managers often lived on property and that was the case at the Galvez. I spent my earliest years living in an upscale hotel. Maybe I saw how hard my dad had to work to run a hotel but in any event, I chose a career in finance, not hospitality, when I entered Texas A&M University. There I received a bachelors in economics and masters in finance. Upon graduation I worked for Republic Bank in Dallas then formed my own investment banking firm with a partner, primarily capitalizing energy industry projects and companies. After success in the financial sector, I decided to begin building limited-service hotels in Austin. TELL US ABOUT VALENCIA GROUP. WHAT INSPIRED THE IDEA AND WHAT IS YOUR VISION FOR THE COMPANY? My first hotels were Hampton Inns and a Homewood Suites hotel in Austin. My last Hilton affiliated hotel there was the Hampton Inn Downtown on San Jacinto Street near the Four Seasons. 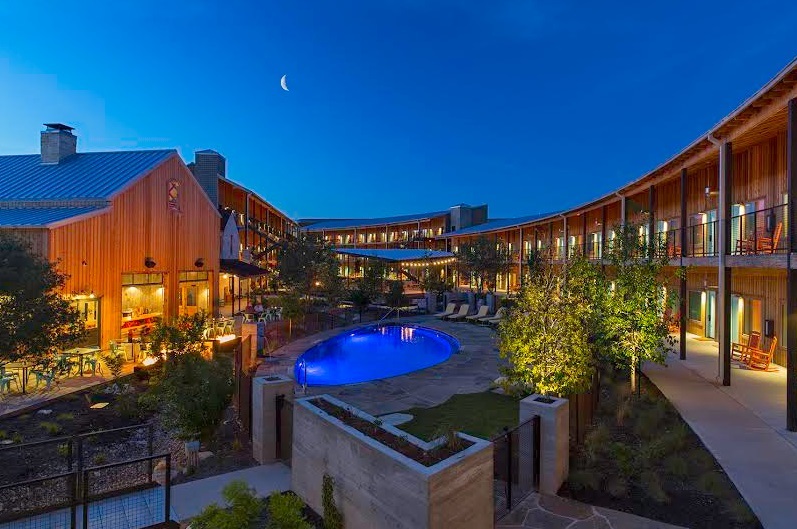 It was built from scratch on leased land and designed to embrace the Austin historic vibe. I took inspiration from the Stephen F. Austin Hotel for the design. It looks like a 1940s office building, complete with metal awnings over the sidewalk that was converted to a Hampton Inn. I had been asked by a native Austonian what the building was before it became a Hampton Inn. That’s easy – it was a one-story transmission shop. In building the Hampton Inn Downtown I was frustrated by all of the restrictions being placed on the design by Hilton. We asked for, and received some design variances from Hilton, some of which later were incorporated into the Hampton Inn design standards. But many of our requests for variances were denied. It was very frustrating. You remember I said that my father had managed iconic, full-service grande dame hotels in the 40’s and 50’s. When the family went on vacation he was part of a network of hoteliers and we therefore stayed in some of the greatest hotels in America. That made a real impression on me and was my inspiration for Valencia. I see Valencia as the twenty-first century reinterpretation of the grande dame hotels of the 40’s and 50’s. That does not mean that they are retro. We are not trying to look historic. They strive to be the place where people want to see and be seen. They are the social center of their communities like so many great hotels before them. WHAT STRATEGIC PARTNERSHIPS/MARKETING STRATEGIES HAVE YOU IMPLEMENTED THAT HAVE ATTRIBUTED TO VALENCIA GROUP’S SUCCESS? The internet made Valencia possible. Twenty years ago it would be next to impossible to accomplish what we did. Our timing was perfect – if you don’t count the recession in 2008-9. We market through search engine optimization and social media and use Vizergy Digital Travel Marketing. We have a strong sales staff on each property and they get business the old fashioned way – they ask for it. We also team up with group business intermediaries like CVENT and Helms Briscoe. There is a trend in the industry to copy other concepts or to develop really creative prototypes and then stamp them out in quantity. We try to avoid industry trends. If you are not in the front of the pack, the view never changes. YOUR GREATEST SUCCESS AS FOUNDER AND PRESIDENT OF VALENCIA GROUP? I originally conceived of the Hotel Valencia as a half step below the upper upscale brands. As I got into the design I was focused on bringing the hotels in on budget but making a statement. I brought Dodd Mitchell in to help me with the interiors of the first two properties. As I began to see how special these could become, I worked with Roy Kretschmer, a veteran of both Marriott and Four Seasons, to bring the service levels higher than you would expect of an upper upscale hotel. That has been the key element of our success. MOST DIFFICULT MOMENT - HOW DID YOU OVERCOME AND WHAT DID YOU LEARN? The first Hotel Valencia was a ground up, full-service, upper-upscale hotel on leased land without a national flag. My development experience to that point had been building and operating Hampton Inns. I was able to raise the equity from friends and family but financing was a real challenge. No experience with this type of hotel, no national reservation service, no frequent traveler program, and on leased land. What was not to love? I was finally able to get the financing but, frankly, I had bet the ranch. After the success of the first two properties, financing became much easier. What did I learn? It is hard to be a pioneer but if you believe in your concept and yourself, sometimes your have to dive in. There were some sleepless nights but everything worked out. We have no problem financing our projects now. Get experience, do your homework and jump in. You have to be willing to fail but then do everything in your power to make sure you don’t fail. DESCRIBE THE IDEAL EXPERIENCE AT A VALENCIA GROUP HOTEL. Have a problem! Valencia staff are great at solving problems for our guests. That is when they shine. You should feel very safe in a Valencia hotel. If a guest has forgotten something important, torn or stained their clothes, need a reservation at a booked restaurant, has a car that won’t start, lost their credit cards and numerous other unpleasant adventures, the professional staff will tackle the problem as if it were their personal challenge. HOW IMPORTANT ARE ARCHITECTURE/DESIGN TO THE SUCCESS OF VALENCIA GROUP’S PROPERTIES? When we entered the boutique hotel arena over a dozen years ago, design was the primary differentiator. Ian Schrager came out of the nightclub business and his hotels were very innovative. That was not our model but we did not want to look like the legacy brands. I would describe our design philosophy as design forward, embracing the local culture in a visceral but fun way. Fun is one of our design criteria. So while architecture and design is critical to Valencia’s success it is not sufficient. Today great design is the anté to play the game but it is not enough. There are a number of firm strategies that come together to help us be successful. One is location. We only build or buy hotels in “A” locations. We describe these as people places where you step out of the front door of one of our hotels and you are no more than a couple of blocks from restaurants, clubs, entertainment and your reason for travel. There are other differentiators but the key one is service. It is our habit to exceed our guests’ expectations. The many recognitions we receive from Condé Nast Traveler, Travel + Leisure, TripAdvisor and many other industry gate keepers indicate that we are having some success here. We have created a culture where the customer is king (or queen). That culture is reinforced every day in departmental “stand up” meetings. Our staff love to go beyond guest expectations because they are empowered to do so. Further, they find their work interesting because we give serious attention to career path cross training. The person who parked your car in the morning may be serving your drinks at the bar in the evening. They love their jobs and love pleasing guests. You will find it hard to find a more motivated group of professionals. My grandmother’s fried chicken and Patrón Añejo Tequila. Business – Arch “Beaver” Aplin, III - a fellow Texas A&M grad who took a mundane concept – roadside convenience store and gas station – and made it unique. The success of Buc-ee’s rests on quality products, reasonable prices, heavily discounted ice and very clean bathrooms – revolutionary. This is what we are trying to do to the hotel industry. Personal – Doyle Graham, Sr. – my father and World War II Army Air Corps veteran who applied innovative marketing ideas to the tradition-bound hotel industry of the 1950’s. Even with all of the success he had in the hotel industry, he was able to keep a healthy balance in both his personal and professional life. I love the outdoors and get there as often as possible. I grew up in Texas fishing and hunting and that still is my passion. I have a hunting lease a few hours drive from Houston and recently hunted a variety of trophy animals in Africa with my son Alex. There are may places I love to go, Lake Cuomo in northern Italy, anywhere in Spain but if I had to pick one it would be Argentina – food, climate, culture and did I mention great fishing and hunting? WHAT’S NEXT FOR VALENCIA GROUP? We are not done innovating. Every new Valencia Group hotel will be different from every other Valencia Group hotel. There are no prototypes. Our newest venture, what we call the “Court” concept is the twenty-first century reinterpretation of the Route 66 motor court of the 40’s and 50’s. How’s this for a concept: two and three stories, exterior corridor, no flag? Has to be a winner, no? We break all of the rules, not because we don’t know the rules but because following the rules is boring. In 2009, Valencia Group expanded it’s portfolio with the Sorella brand. Sorella – Italian for sister– is positioned as the precocious sibling to Valencia Group’s Valencia brand. Hotel Sorella CITYCENTRE in Houston, Texas became the first of the Sorella brand. Chic and modern, Sorella blends timeless elements of classic design with Mediterranean influences. In November 2013, Valencia Group announced the first expansion of the Sorella brand in Kansas City – Hotel Sorella Country Club Plaza. The newest addition to the collection is Lone Star Court in Austin, TX. This is Valencia Group’s newest concept and their re-interpretation of the motor courts of the 50’s and 60’s. Prior to forming Valencia Group, Mr. Graham served as President of Eland Investment Corporation and as co-founder of Molke & Graham, Inc., both Houston-based, private merchant banking firms. These companies were active in the energy, environmental and hospitality industries. They were successful in completing the sale of a consolidated energy/environmental company to Baker Hughes, Inc. in 1990 and served as the lead investor and managing partner of the investor group. Molke & Graham, Inc. was also responsible for numerous other transactions, including the acquisition of a subsidiary of N.L. Baroid, a New York Stock Exchange company. Prior to forming Molke & Graham, Inc., Mr. Graham developed an energy lending background with RepublicBank Dallas in 1983 where he worked in the Energy Department. During this time, Mr. Graham was engaged in oil and gas lending and also had the opportunity to work within RepublicBank Energy Finance Corporation, a wholly owned subsidiary of the bank that specialized in mergers and acquisitions of energy companies. Mr. Graham graduated from Texas A&M University in 1981 with a degree in Economics. He later received a Masters of Finance in 1983, also from Texas A&M University. 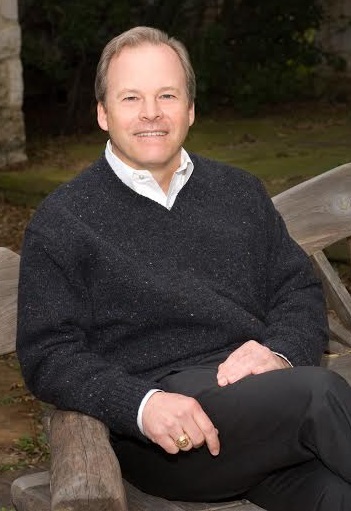 September 24, 2014 - The Boutique Lifestyle Leadership Association (BLLA), the hospitality industry’s top boutique, lifestyle and luxury brand executives and independent property owners, named Doyle Graham Jr., Founder, President & CEO of Valencia Group hotels, as the BLLA Hotelier of the Year.